There are some things to think about here as part of the advertising process with your good quality listings. In using the property portals, the cost is a factor to consider given the duration of the campaign, the property type, and the location. If the property is in a large town or city, the listing can easily get lost online amongst many other ordinary listings. 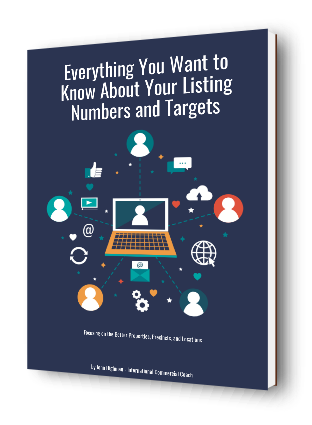 How can you make the listing stand out from your target market? Specific answers and strategies are part of the property listing and promotional process. Become more strategic in your listing procedures and promotional activities; exclusivity will be part of the strategy behind the listing activity. Take every exclusive listing uniquely to the market, and the targeted audience of buyers or tenants. Consider the importance of time in the property promotion. In any property promotion, there is only a short period at the start of the campaign to attract fresh and new enquiry potentially; momentum is important, and strategy is part of that. Target marketing and promotional strategies are important, and that is why exclusivity is so critical as part of the listing process today. Spend more time on your exclusive listings. How you do that needs to be thought through and actioned. Convert vendor paid marketing as part of the property promotion and listing process. Design your presentations to suit that promotional strategy. To advertise a property comprehensively today, vendor paid marketing will be an important element of the campaign and helping you build your market share. Use internet marketing and social media activities in addition to listing placement. Use two or three social media platforms at a personal level so you can circulate your good quality listings comprehensively at the start of any campaign. Spread the property marketing campaign over a period. Most promotional campaigns need to be at least six weeks in duration to cover the target market. During that time, you should attract the interest of the buyers or tenants, and have a good level of enquiry. Plan your campaigns over that duration with all exclusive listings. Choose the portals that cover the target market, and pay a premium for the listing placement. Some portals are better than others when attracting enquiry, and costs will have a part to play when it comes to placing the property online. Understand the keywords that apply to your location, the listing, and the property type. Feed the appropriate keywords into your property advertising layout and detail. Advertising headlines will always be important and even more so when it comes to property marketing in a competitive market. You can learn a lot about advertising headlines from local newspapers and magazines. Some headlines in newspapers will give you useful ideas relating to ongoing property marketing and advertising. Simplicity of layout and the ‘white space’ principle should be part of the property and listing advertising format, frequency, and display. Understand the features of the property and merge all that information into the advertising text. Use a simple list of property and improvement features as part of the promotional text. Dot points are very effective. Use professional photographs where ever possible. Good quality photos will always increase the number of hits with the listings online. 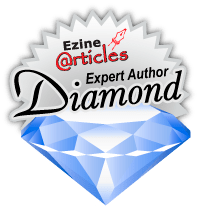 So, there are plenty of good things that can be done here when it comes to advertising a commercial or retail property on the Internet portals. It is quite easy to establish a checklist process as part of promoting any property for sale or lease. Effective advertising will always create greater levels of enquiry and inspection opportunity. Become more strategic in placing your listings on the portals.